This is simply a list of some of the main ingredients I use myself or supply for making herb teas. This may be in the form of material that is freshly picked, frozen or dried. 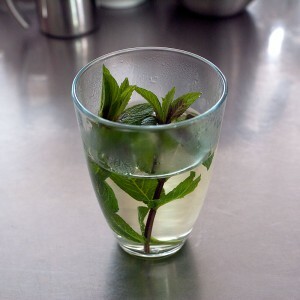 ‘Herb Tea’ basically means any flavoured warm/hot drink where you put the plant material into water and drink it. Usually this also just means not made with black tea (dried and fermented Camellia sinensis leaves). This can be simply suffusing the water with a flavour or making it into almost a ‘green smoothie’ style with a huge amount of plant material in it. Aside from the obvious fresh and dried forms, many ingredients can be frozen which maintains the taste and immediacy of the flavour for use at any time of the year. Freezing in small blocks or cubes is a good way to prepare some of these items. These can be either whole, cut up or put into a blender and then arranged in serving sized units. These can make excellent flavour additions to a meal and add the equivalent of a whole new dimension to a meal or simply be enjoyed as a ‘palette’ cleanser or mouth wash to help other tastes develop when you eat. Adding a small cup of a suitably flavoured ‘tea’ can change a whole meal experience. There are many ‘herbs’ or plants that have various odd chemical effects on your body and you should check carefully before indulging in some of them. Stevia leaf and Sugarcane stalks are available for sweeteners most of the year.